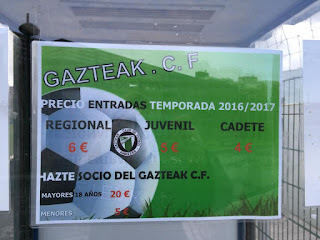 Gazteak CF is an amateur football club who were formed in 1973 and are based in Santurtzi, a few miles west of Bilbao in Spain’s Basque region playing at San Pedro de Kabiezes, which was originally a sand pitch. 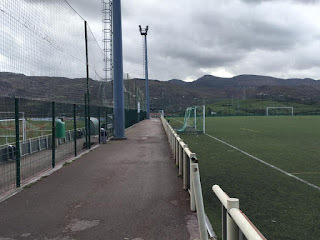 The club started their first few seasons in existence playing lower level local football such as the Territorial Tercera and then the eighth level Territorial Segunda before eventually reaching Territorial Primera in 1979. 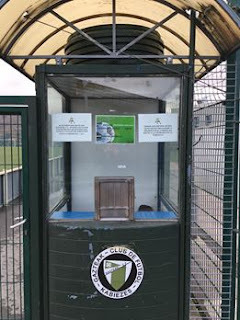 Gazteak were demoted in 1980-81, but regained their place at the seventh tier at the completion of the 1982-83 campaign. 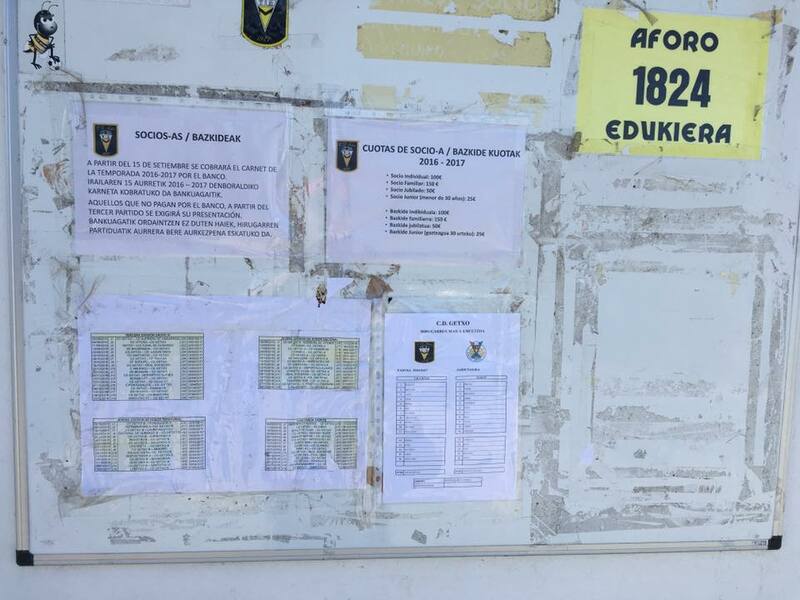 Another relegation back to Territorial Segunda was suffered in 1984-85, but the club bounced straight back at the first attempt. 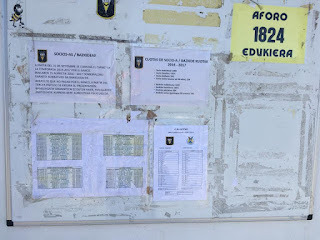 Gazteak remained at that level until 1990, when they dropped out of senior football for a couple of years before beginning the slow climb back through the divisions before reaching Territorial Primera once again in time for the 2003-04 campaign. The club went down another level just one year later, before climbing back in 2005-06 with a promotion campaign. This time Gazteak’s spell in the seventh level lasted two seasons. Another promotion followed in 2009-10. 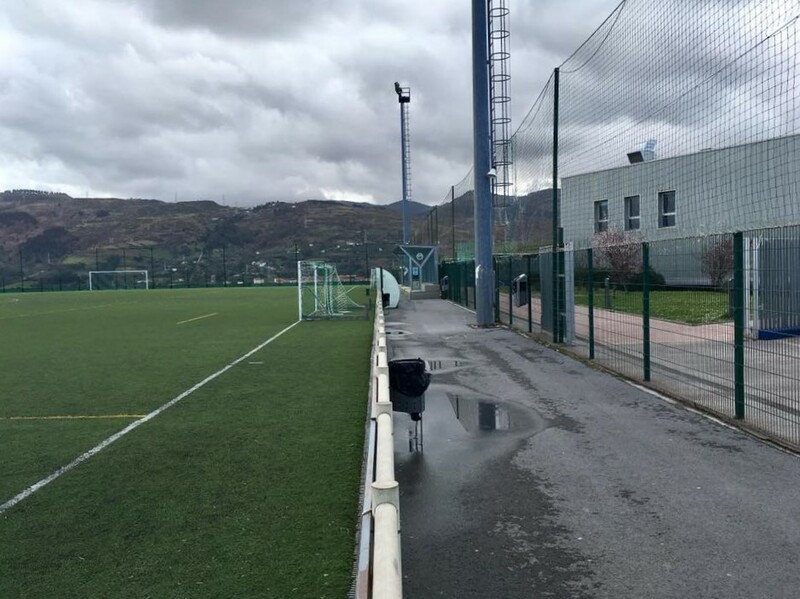 The club remained in the Territorial Primera for three seasons before being relegated once again. 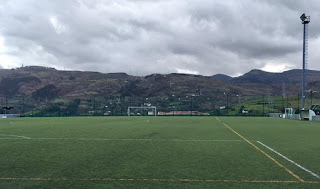 Promotion was won again in 2013-14 as Gazteak were placed in Grupo I of the Primera. Gazteak consolidated on their return and continued to build as a club following the conversion of their playing pitch from grass to an artificial surface to allow the continual development of their youth sides. Gazteak CF will play in the Territorial Primera División de Vizcaya Grupo I in the 2017-18 season. 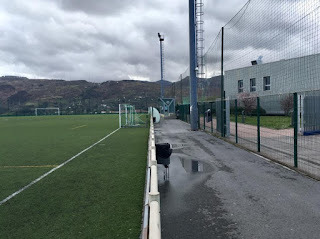 It was the first day of my long weekend around Bilbao and after visits to the homes of Barakaldo CF, Sestao River Club and Club Portugalete I continued through land being developed and new housing from La Florida along Doctor José Zaldua Kalea. The walk was doing me good in the hills above the district and looking down towards the River Nervión. A further walk along Los Hoyos Kalea took me to the ground, where I was in for a bit of a shock. 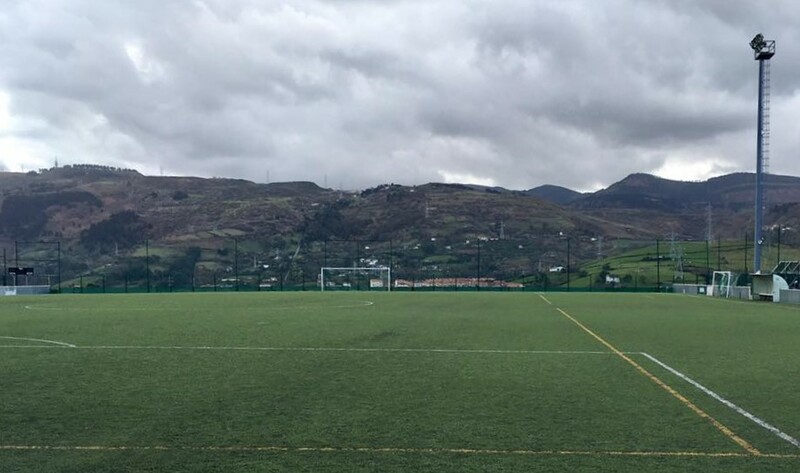 My research had me prepared to encounter the San Pedro de Kabiezes home of Gaztiek, but I didn’t know that another club; Peña Athletic Santurtzi had their venue alongside. The ground itself was pretty basic with hard open standing surrounding the pitch. 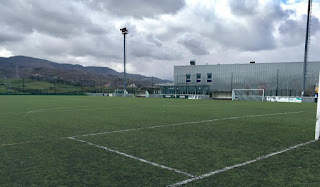 A high wire fence enclosed the arena, which was open aside from a small cover on the sports centre side. Once I’d taken my photos of both grounds I put in some more mileage to the ground of CD Santurtzi to complete a fantastic Friday afternoon.